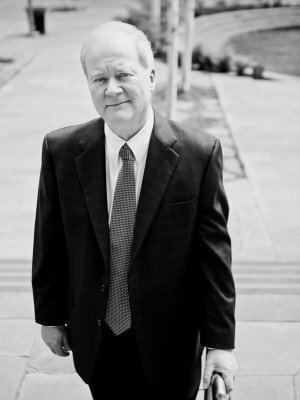 In his more than forty years of experience as an attorney, Tim has handled all types of employment matters including wage and hour issues, occupational safety and health matters, arbitrations, collective bargaining negotiations, employment discrimination issues, and traditional labor matters arising under the National Labor Relations Act. His work as an attorney has in recent years been primarily devoted to representing workers who have suffered illegal discrimination including termination in the work place. He specializes in helping and litigating on behalf of workers who have been illegally denied overtime and minimum wages including successfully prosecuting class actions on behalf of workers against major U.S. corporations. He has litigated numerous labor and employment cases before federal and state agencies and in federal and state courts. Tim is also very experienced in general commercial litigation in state courts in Washington and in federal courts around the nation. To see Tim’s complete resume, please click here. Tim was a trial attorney with the Office of the Solicitor, U.S. Department of Labor and with the National Labor Relations Board. In addition to his work in the public sector, he has been an in-house attorney with two major U.S. corporations in New York and Seattle and two major law firms in Seattle. Tim is a graduate of Valparaiso University School of Law (J.D.) and holds a Masters Degree in Labor Law (LL.M) from New York University. He has been licensed to practice law in Washington, Illinois and Indiana. In his spare time, Tim is an avid golfer. He and his wife live in Bonney Lake. They have two sons (one who is Ryan of course) both who graduated from Washington State University.